Last post about puzzle was nearly 11 months ago. It was Puzzle Craze then. 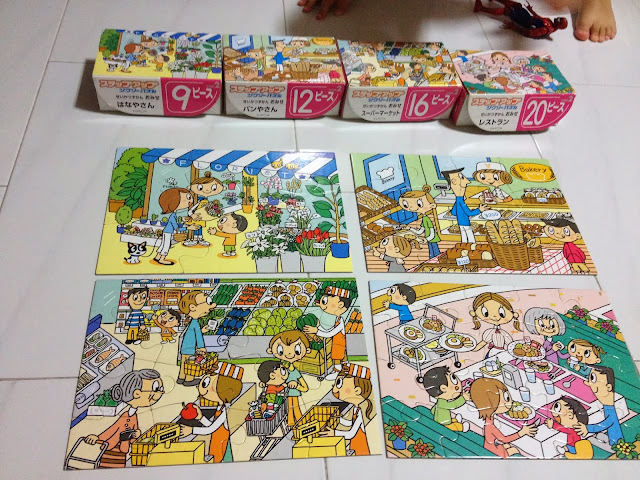 As the above was a bit too easy as time goes, we bought another set of Kumon puzzles, 9, 12, 16 and 20 pcs. They are very "flowerish" and a little confusing for IZ to do at first. Today, he could do 9 and 12 pcs without any problem, a little slower for 16 pcs, and much slower for 20 pcs. But he completes his puzzles nonetheless. That's the most important message I put across to IZ everytime he face challenge or setback when he is playing puzzles.. not to give up easily, shall try and try. If really can't, then ask for help. 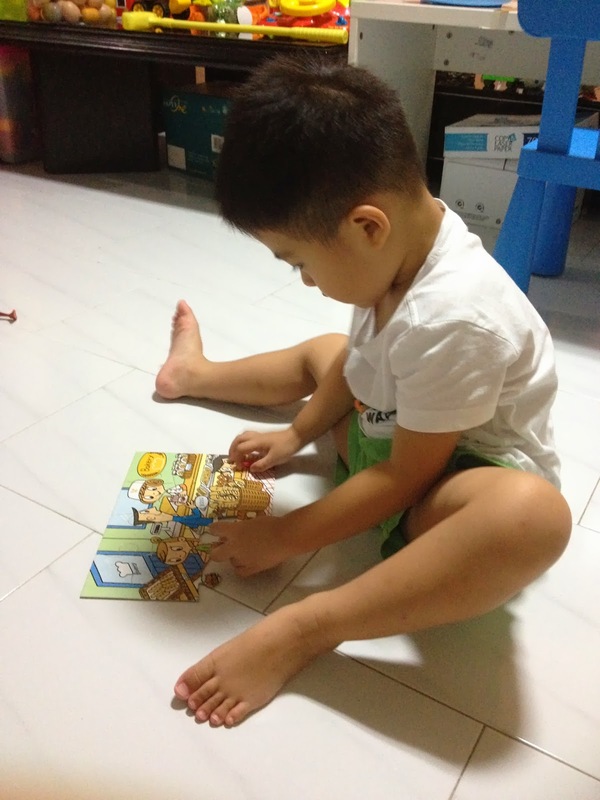 hi, would u be interested to sell the kumon puzzles that your son has out grown? Hi, where u bought them from?